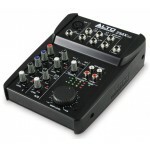 Professional Mixing Features The Alto Professional Live 2404 is a pro 24-channel, 4-bus mixer equip..
Professional Mixing Features The Alto Professional Live 1604 is a pro 16-channel, 4-bus mixer equ..
Professional Mixing Features The Alto Professional Live 1202 is a pro 12-channel, 2-bus mixer equip.. 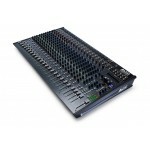 In a market that has a glut of small format mixing consoles, the Alto ZEPHYR ZMX862 is an excellen.. 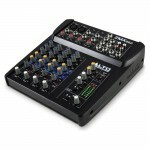 The ZEPHYR ZMX52 is a 5-channel mixer with all the essential inputs, outputs, and EQ for solo gigs.. 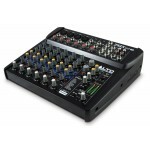 Regardless of the application, give your mix a professional edge with 256 onbo..